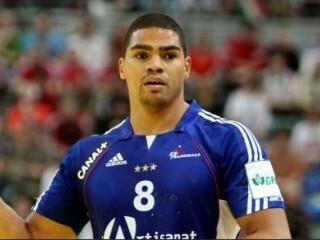 Daniel Narcisse is a well known French handball player, which was named in 2012 the IHF World Player of the Year. Daniel's main strength as a field player is his ability to jump very high, to the point of being able to score goals above interfering defense players. This ability has earned him the nickname of Air France, in France as well as in Germany, where he currently plays for THW Kiel (in replacement for no less a player than Nikola Karabatic). - Olympic champion (2008 and 2012). Daniel Narcisse was voted into the All star team at the 2008 European Men's Handball Championship, where France finished third. View the full website biography of Daniel Narcisse.